The combination of visual and textual information in image retrieval remarkably alleviates the semantic gap of traditional image retrieval methods, and thus it has attracted much attention recently. Image retrieval based on such a combination is usually called the content-and-text based image retrieval (CTBIR). Nevertheless, existing studies in CTBIR mainly make efforts on improving the retrieval quality. To the best of our knowledge, little attention has been focused on how to enhance the retrieval efficiency. Nowadays, image data is widespread and expanding rapidly in our daily life. Obviously, it is important and interesting to investigate the retrieval efficiency. 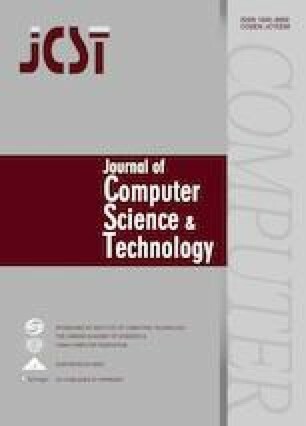 To this end, this paper presents an efficient image retrieval method named CATIRI (content-and-text based image retrieval using indexing). CATIRI follows a three-phase solution framework that develops a new indexing structure called MHIM-tree. The MHIM-tree seamlessly integrates several elements including Manhattan Hashing, Inverted index, and M-tree. To use our MHIM-tree wisely in the query, we present a set of important metrics and reveal their inherent properties. Based on them, we develop a top-k query algorithm for CTBIR. Experimental results based on benchmark image datasets demonstrate that CATIRI outperforms the competitors by an order of magnitude. The online version of this article ( https://doi.org/10.1007/s11390-019-1911-2) contains supplementary material, which is available to authorized users. 5.School of ComputingUniversity of UtahSalt Lake CityU.S.A.